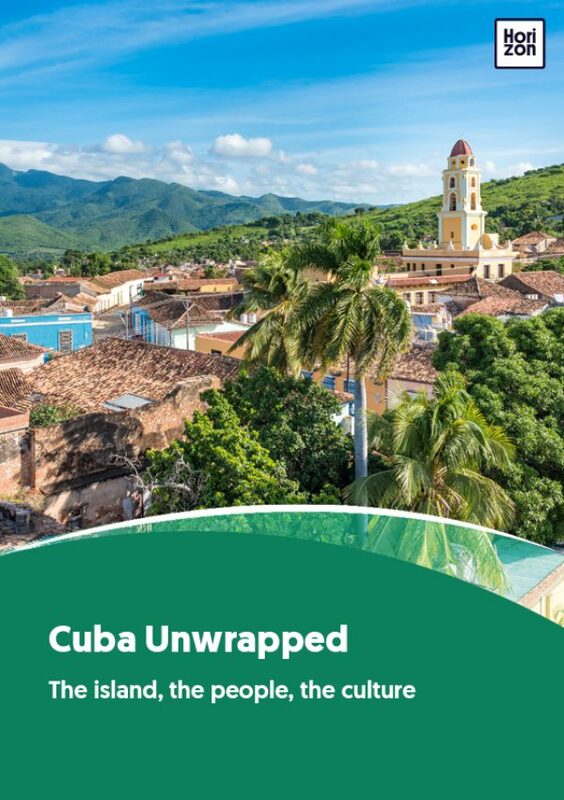 Cuba’s oldest city, Baracoa, perches on the country’s far eastern tip amid a stunning backdrop of forest-clad mountains, serene blue waters and secluded, evocative coves. But there’s much more to the city than the scenery. Inaccessible by road until relatively recently, Baracoa has developed a style and character all its own. In their remoteness, residents nurtured unique traditions and peculiar characters, giving the city an enigmatic, other-worldly feel. El Yunque is a 575-metre high, flat-topped mountain that dominates the city from all angles. The views from the top are truly special, and well worth the climb. This is a great spot for bird and nature spotting. If you’re lucky you might get a glimpse of a tocororo (Cuba’s national bird) or the zunzuncito (the bee hummingbird, the world's smallest bird). It's a strenuous and muddy hike, so take plenty of water. The picturesque Parque de la Independencia is flanked by numerous pastel-coloured colonial-era buildings and is a popular hang-out spot for locals. Order a mojito at one of the nearby bars, sit back and enjoy people-watching under the shade of a leafy tree. Facing the square on its southern corner is the stately Catedral de Nuestra Señora de la Asunción. It has been on the receiving end of plenty of hurricanes over the years but was recently restored with Italian funding. Its most prized possession is the Cruz de la Parra, the only surviving wooden cross of the 29 that were placed in Cuba by Columbus on his first visit to the island. Next to the cathedral you'll find Casa de la Trova “Victorino Rodríguez,” the island's tiniest, wackiest and wildest music house, swaying to the voodoo-like tunes of son montuno and changüi, a style that originated in Baracoa. Nearby is Casa del Chocolate. Baracoa is Cuba's biggest producer of cacao and the city produces some of the finest chocolate you’ll ever taste. A stroll along the Malecon is a pleasant way to spend the early evening, with views of the city's three Spanish fortresses: El Castillo Seboruco (which now functions as a hotel and is hardly recognisable as a fort), Fuerte Matachín (with a great museum), and Fuerte de La Punta (now home to a restaurant). The archeological museum La Cueva del Paraíso contains a series of caves that were used as Taíno burial chambers. Exhibits include 2,000 skeletons, ceramics, 3,000-year-old petroglyphs and the pièce de résistance: the Idolo del Tabaco (Tobacco idol) which was discovered in 1903 and is considered one of the Caribbean's most significant Taíno artefacts. After all that walking you’ll be ready for a dip in the ocean. The area’s two best beaches are Playa Blanca and Playa Maguana. The latter boasts fine white sands and is blissfully free of the overdevelopment found elsewhere in Cuba and the wider Caribbean. Known as ciudad primada (first city), Baracoa was established way back in 1511. The city is small, with a population of just 81,800 – you’ll never feel crowded here. Various historians have suggested that Baracoa was the landing point for Columbus’s first mission and although the general consensus is that Holguín has that honour, locals continue to assert their city’s place in the history books. The Hispanic literary style known as magical realism was popularised by Colombian author Gabriel García Márquez. But one of the genre’s early founders was Alejo Carpentier, a Cuban who drew much inspiration from Baracoa and its intriguing, fantastical atmosphere. Baracoa was badly damaged by Hurricane Matthew in October 2016, the strongest storm to hit the Caribbean in almost a decade. Thankfully no deaths were reported and the city is recovering quickly. Baracoa is remote and is a long drive from pretty much anywhere. Visitors either arrive on one of the thrice-weekly flights or via the impossibly scenic La Farola road from Santiago.